Project Dreamcatcher has been awarded the prestigious German Best of Industry Award this year in the category Additive Manufacturing. The German Best of Industry Award is offered by the German media firm MaschinenMarkt. This is the second year that MaschinenMarkt has awarded this prize for great industrial innovations in eight different categories. 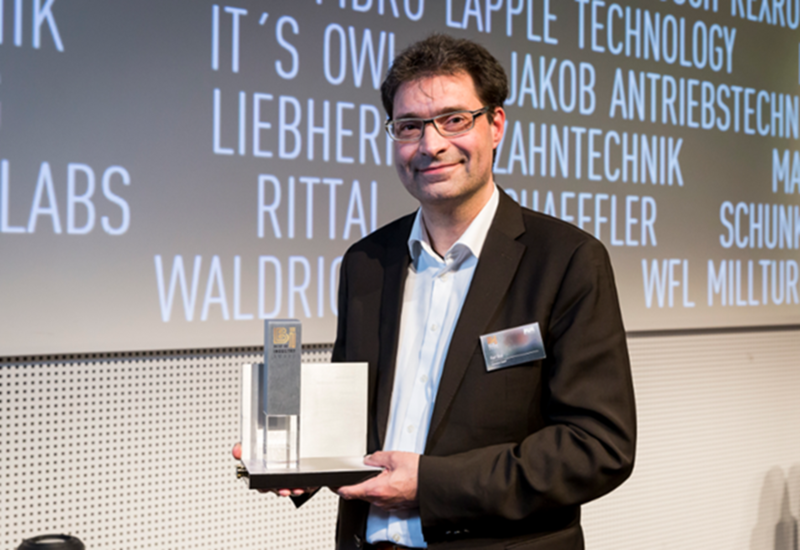 During a gala event in Würzburg, Germany, on February 17, the award was presented to Autodesk for Project Dreamcatcher. Autodesk was a nominee in the category “Additive Manufacturing” together with SLM Solutions and ProtoLabs. There are 3 opportunities to make the nominee shortlist: being an industry award winner, having previously been an award nominee, or receiving the highest online approval rates for an article on the MaschinenMarkt magazine web site maschinenmarkt.de – Autodesk’s nomination came as a result of an article about Generative Design and Project Dreamcatcher, which appeared earlier in the year on maschinenmarkt.de. The winner in each category was then determined by a combination of a jury and the magazine readers’ voting. It was a close vote – but we are very proud to have achieved the first German Best of Industry award for Autodesk.